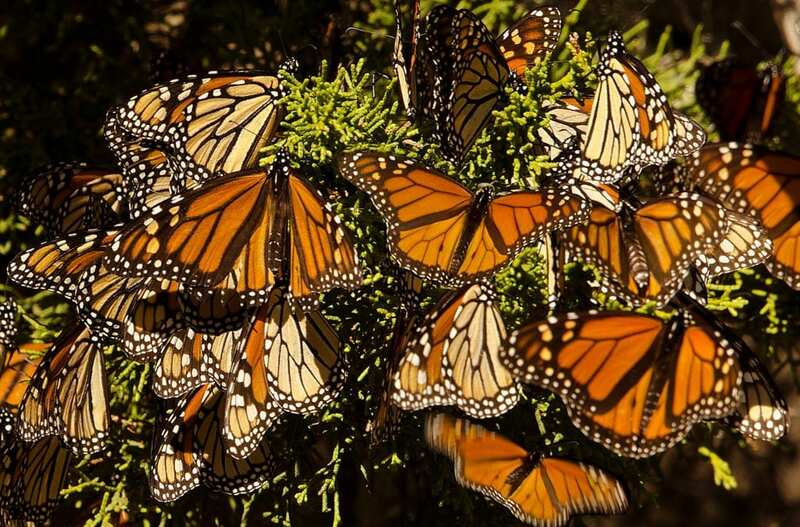 The City of Pacific Grove created the butterfly sanctuary decades ago to preserve the monarch butterfly habitat and provide an opportunity for visitors to admire the natural spectacle. The butterflies hang in clusters from the branches of the grove’s eucalyptus, pine, and cypress trees to maintain body temperature. On warmer days, visitors are treated to a magical show as the butterflies take flight among the trees. The butterflies remain at the sanctuary from October until February, when they continue their migration south. The butterfly population peaks population peaks at the sanctuary between late November and early December. Admission to the sanctuary is free. 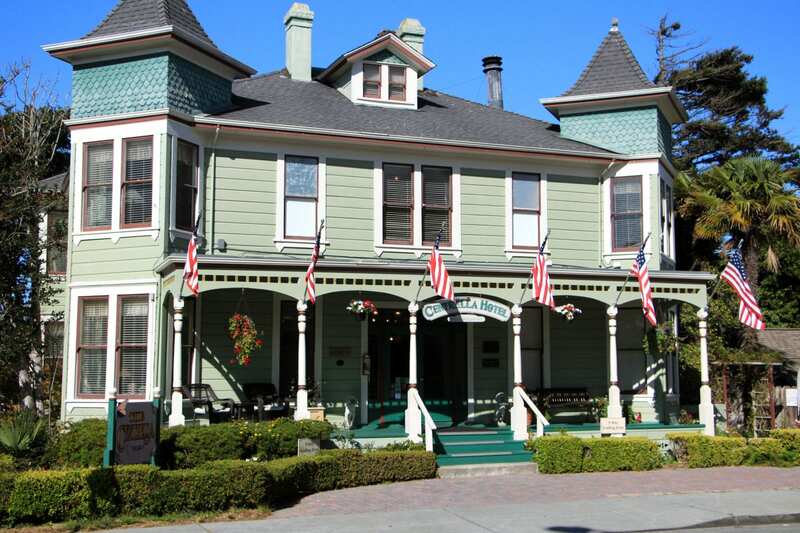 There are no less than six bed and breakfast inns in Pacific Grove, all within an easy stroll of the Pacific Grove Monarch Butterfly Sanctuary. 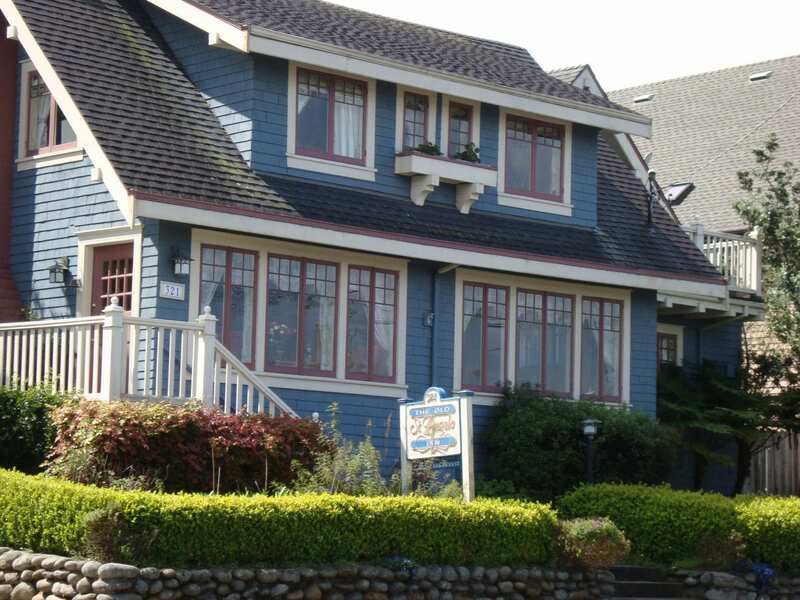 Built in 1887, the Gosby House Inn has been welcoming guests for over 100 years. 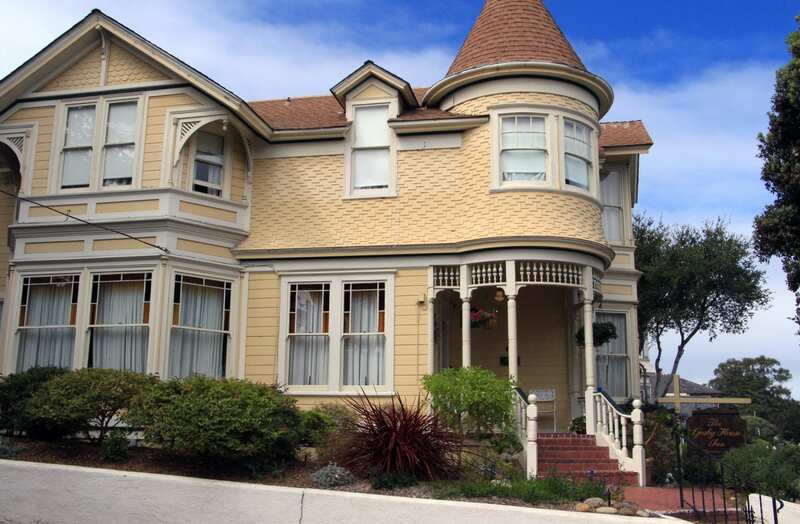 The cheerful yellow and white Victorian mansion is nestled in downtown Pacific Grove, less than a mile from the butterfly sanctuary, and within walking distance of the town’s vibrant restaurants and shops, and the beach. On the National Register of Historic Places, the understated Victorian features a corner tower, parlor windows trimmed in colorful blocks of stained glass, and a charming courtyard patio. The Gosby House Inn’s 22 guest rooms are comfortably furnished with tasteful antiques and a palette of pale yellows and blues. Many of the rooms have sitting areas with gas fireplaces. The deluxe Carriage House Rooms also feature spa tubs for two and private balconies. The inn serves afternoon wine and hors d’oeuvres and a full breakfast each morning. Breakfast includes a hot main dish along with fresh fruit, assorted breads, muffins, and pastries, and juices, hot tea, and coffee. Guests care treated to freshly-baked cookies and coffee, tea, hot chocolate, and sodas throughout the day. Turndown service is available upon request. Just a couple blocks from the Gosby House, the Centrella Inn was built in 1889 and is also on the National Register of Historic Places. This striking, pale green Victorian has broad, inviting porch lining the street and a number of intimate, outdoor seating areas scattered among the backyard cottages and courtyard gardens. The inn is located a block off of Pacific Grove’s main street, three blocks from Lover’s Point Beach, and within walking distance of downtown Pacific Grove’s restaurants and shops. The inn’s 25 guest rooms range from the airy Lover’s Loft Suite on the top floor to period-perfect Victorian rooms throughout the main house to pet-friendly cottages lining the backyard gardens. Many of the rooms feature Victorian-era antique furnishings and clawfoot soaking tubs; some even offer peeks of the ocean. A stay at Centrella Inn includes a complimentary hot breakfast, complimentary afternoon hors-d’oeuvres, freshly-baked cookies each night, and around-the-clock tea and coffee served in the parlor. 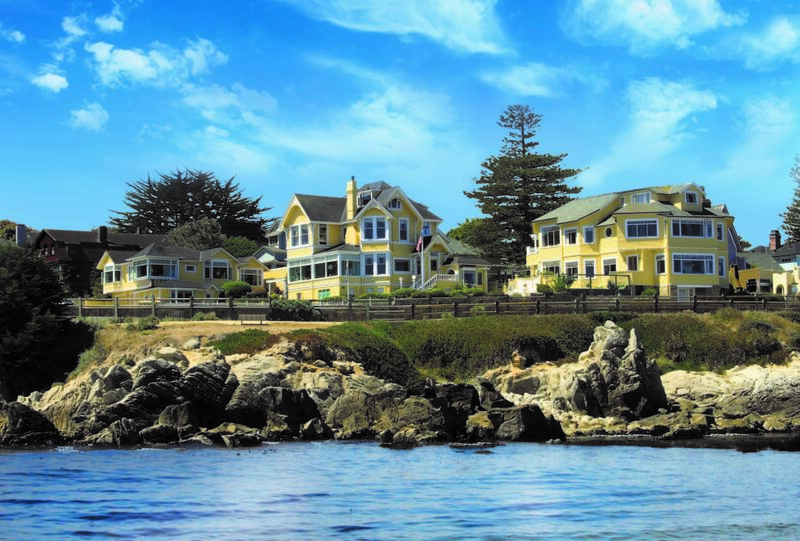 Just a mile from the butterfly sanctuary, the Seven Gables Inn is an oceanfront Victorian overlooking Lover’s Point and the Monterey Bay. Every room of the inn offers stunning views of the waves pounding the rocky coast, sea otters frolicking offshore, and whales spouting in the distance. Built in 1885, the inn exudes opulence at every turn with stamped-tin ceilings, crystal chandeliers, ornate columns, gilded-framed mirrors and artwork, high-quality antiques, and Persian rugs. 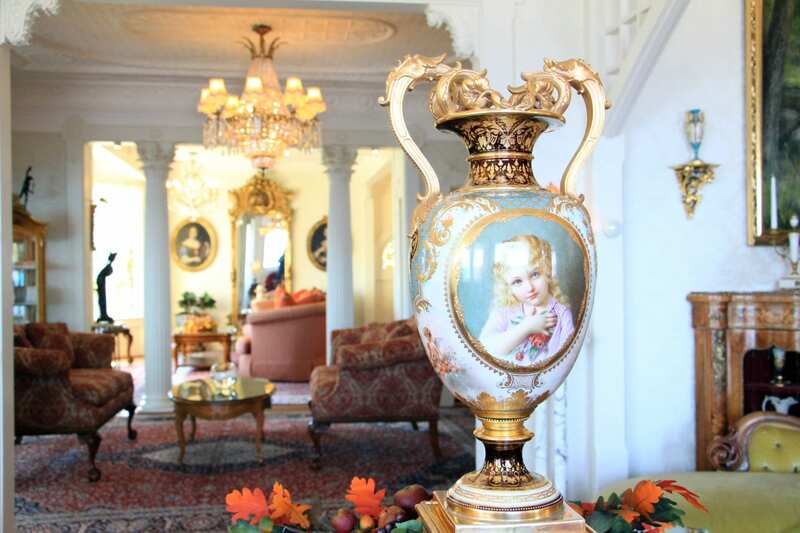 A century-old vase on display in the lobby was purchased at an auction in 1962 and had originated from the last ruling monarch of Germany. Each of the inn’s 25 rooms feature window seating for enjoying the ocean views and binoculars for catching sight of the wildlife on the bay. The custom pillow top beds feature luxurious linens and goose down comforters. Select rooms also have fireplaces. The inn serves a complimentary breakfast in the oceanfront dining room, pours Monterey County wines during its afternoon wine and cheese reception, and offers turndown service with house-made cookies and milk to finish the day. In addition to the butterfly sanctuary, the inn is also within walking distance of the Monterey Bay Aquarium and Cannery Row. The Old St. Angela Inn was originally a country home built in 1910 that was converted to a rectory and then a convent in 1920. The Craftsman-style home is tucked into a quiet, residential area of Pacific Grove, and is centrally located—just one block in either direction from the beach and downtown’s main street. The butterfly sanctuary is 1.3 miles away. The Monterey Bay Aquarium and Cannery Row are also close by. 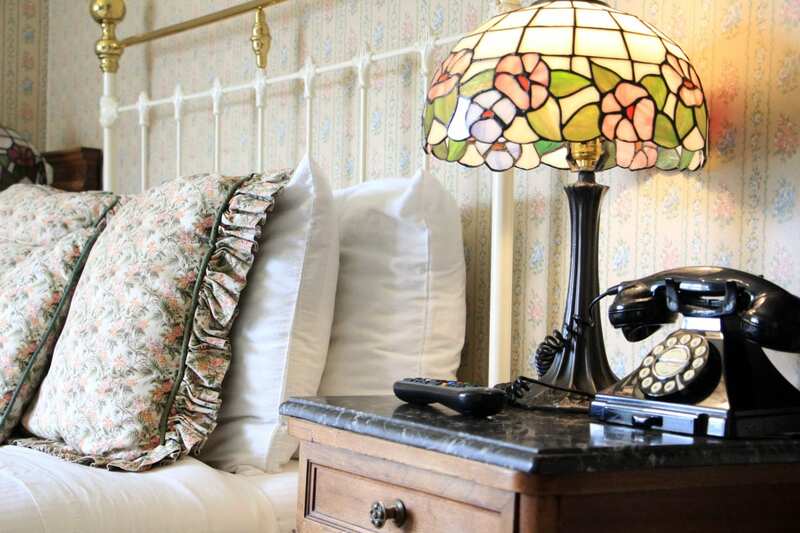 The inn’s nine cozy guest rooms are individually decorated with country antiques, old-fashioned wallpapers in muted hues, and floral-print duvets. With teddy bears propped among the pillows, the rooms provide a relaxed, homey feel. Some of the rooms offer partial ocean views, fireplaces and/or Jacuzzi tubs. The inn serves a made-from-scratch breakfast each morning and an afternoon tea with wine, coffee, tea, and home-baked cookies. A stone fireplace in the living room and a firepit on the patio provide warm and inviting gathering spots for guests. 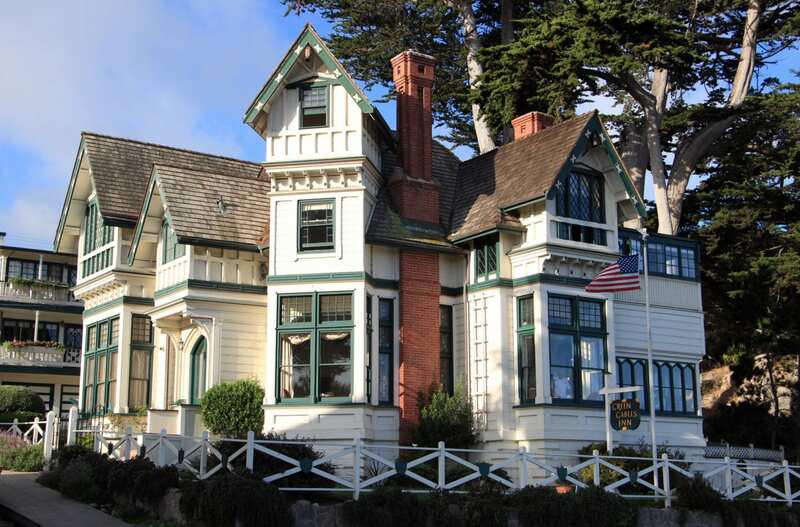 Built in 1888, the Green Gables Inn is a meticulously-restored Queen Anne Victorian steeped in storybook style with panoramic views of the Monterey Bay. The multi-gabled, oceanfront home with dark green trim is possibly the most iconic inn lining Pacific Grove’s dramatic coastline. The inn is a short walk to the Monterey Bay Aquarium, Cannery Row, and downtown Pacific Grove. The butterfly sanctuary is 1.4 miles from the inn. Between the main house the carriage house, the inn has 11 beautifully-appointed rooms. In the main house, each room is more unique that the last. Upstairs, the Chapel Room features exposed wood beams and trim in gleaming mahogany and ocean views from windows out of a fairytale. 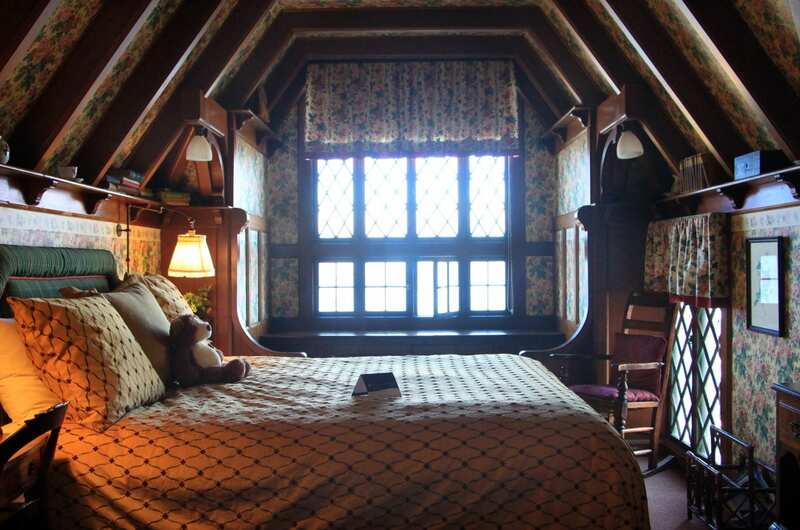 The Gable Room has a ladder to the cozy attic room in the gable itself with a window seat view of the ocean. 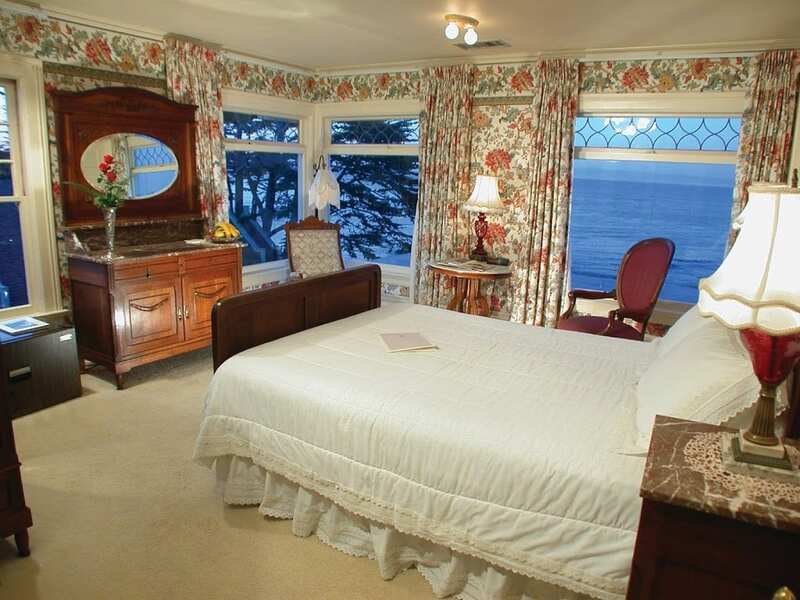 In the carriage house, the spacious rooms feature king beds, spa tubs, gas fireplaces, and partial ocean views. A stay at the inn includes a full breakfast for two, afternoon wine and hors d’oeuvres, freshly baked cookies, and turndown service. 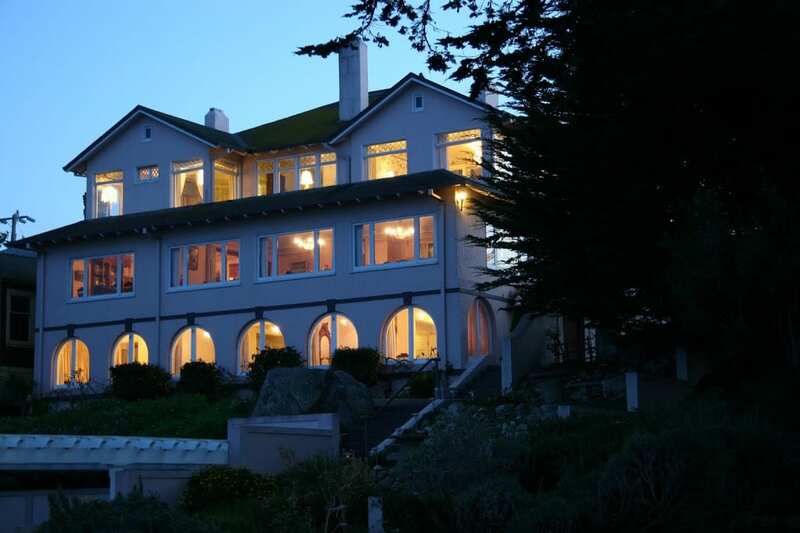 Perched on the edge of the Monterey Bay just a block from the Green Gables Inn, the Martine Inn offers commanding views of the waves crashing against the rocky shoreline. Originally the home of the Parke family (of Parke-Davis Pharmaceuticals), the inn features museum quality antiques in every room, period-perfect wallpapers, and authentic paintings in the Plein Air tradition. A central courtyard is landscaped with a variety of roses and a carefully curated library is stocked with English classics and current gems. An antique billiard table stands in the game room. For car enthusiasts, the Martine Inn features an array of authentic vintage MG cars and racing memorabilia. 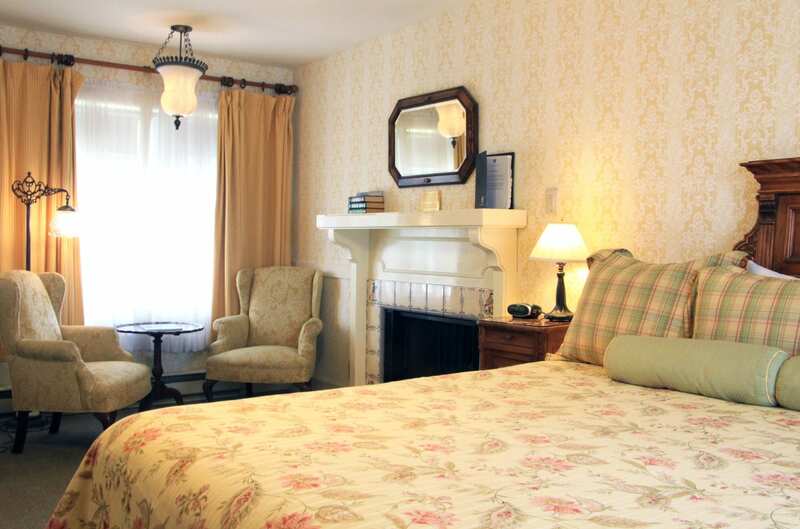 Many of the inn’s 25 guestrooms feature fireplaces and clawfoot tubs. Several also offers ocean views. The complimentary, Victorian-style breakfast is a highlight of any stay at the Martine Inn. A chef-prepared gourmet entrée is served on fine china with antique silver, crystal, and lace, and is accompanied by fresh pastries, freshly squeezed juice, fresh fruit, and mesmerizing views of the bay.